American test vehicle. Flight tests from a surface pad of the Apollo Launch Escape System using a boilerplate capsule. Status: Retired 1965. 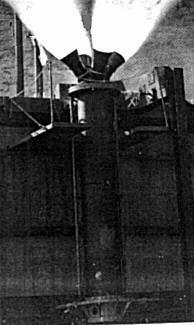 First Launch: 1963-11-07. Last Launch: 1965-06-29. Number: 2 . Thrust: 690.00 kN (155,110 lbf). Gross mass: 2,500 kg (5,500 lb). Height: 10.20 m (33.40 ft). Diameter: 0.66 m (2.16 ft). Apogee: 2.00 km (1.20 mi). Family: test vehicle. Country: USA. Launch Sites: White Sands, White Sands LC36. Stages: LPC A-1. Agency: North American. Bibliography: 2. 1963 November 7 - . 16:00 GMT - . Launch Site: White Sands. Launch Complex: White Sands LC36. LV Family: Apollo CSM. Launch Vehicle: Apollo LES. Test mission - . Nation: USA. Agency: NASA. Apogee: 2.00 km (1.20 mi). 1965 June 29 - . 13:00 GMT - . Launch Site: White Sands. Launch Complex: White Sands LC36. LV Family: Apollo CSM. Launch Vehicle: Apollo LES.